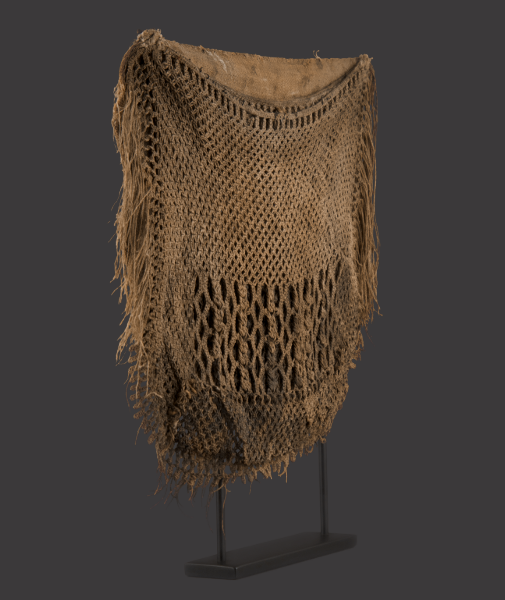 In Maori culture the activity of fishing transcended practical necessity as a valuable source of food, considered a ‘tapu’, it was a sacred and spiritual pursuit involving ritual and following strict rules, demonstrating not only the sense of profound respect the Maori people felt for their environment but also their intelligence and insightfulness in regard to protecting it and sustaining their way of life. The whole process was cleverly regulated to ensure bountiful harvests with minimal disruption and unhindered natural replenishment of their chosen quarry. 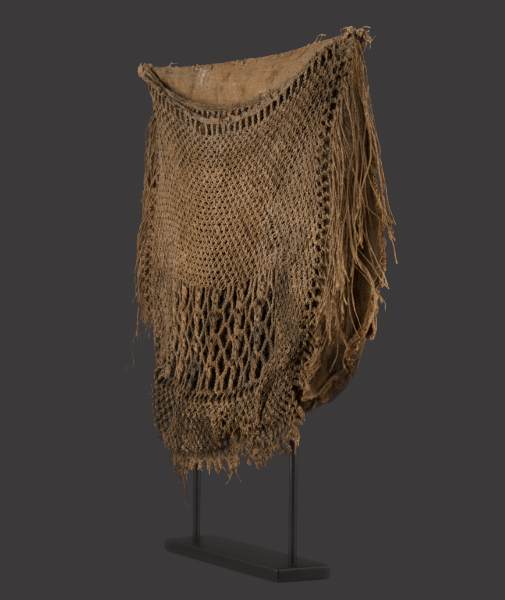 Early European visitors clearly recognised and were impressed by the degree of competence displayed by the islanders in their fishing endeavours, some being compelled to record in contemporary journals the native inhabitants impressive superiority over them, in skill, equipment and knowledge which had passed through generations of this ancient culture, being practiced and honed to perfection. 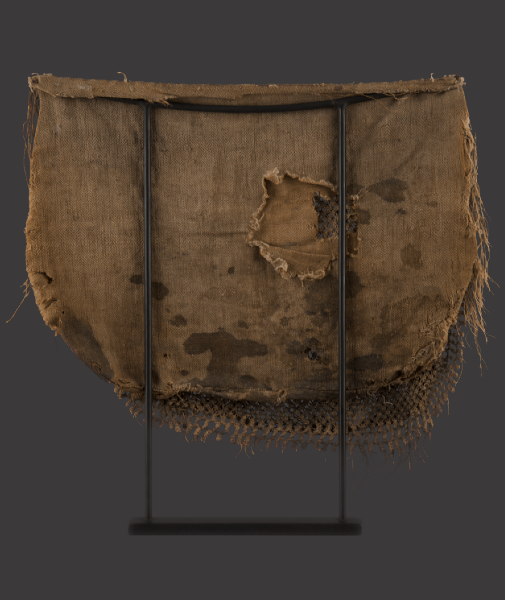 This complex bag represents a rare survivor, not simply as a type seldom seen, but unusual in the fact that it has obviously been well used over a long period, its condition and construction indicating it was certainly produced and intended for utilitarian service rather than as a trade item, of which so many known surviving examples could be considered, brought home as souvenirs by European sailors. 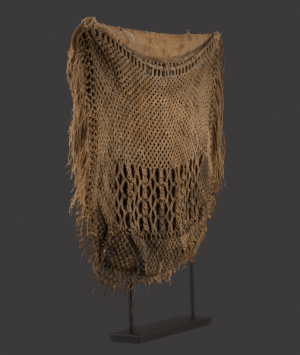 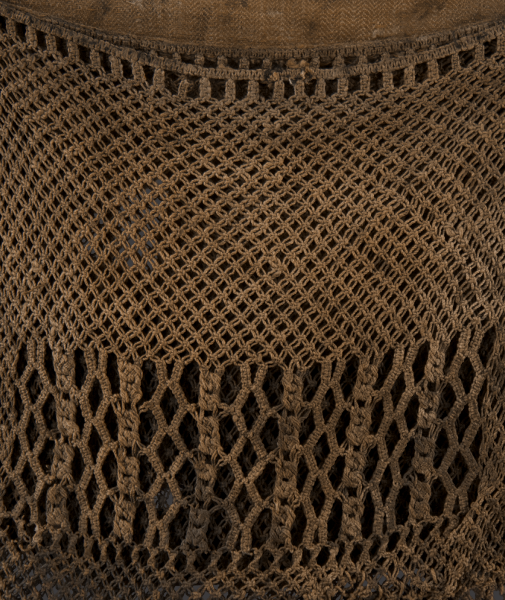 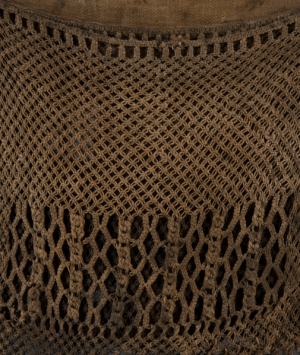 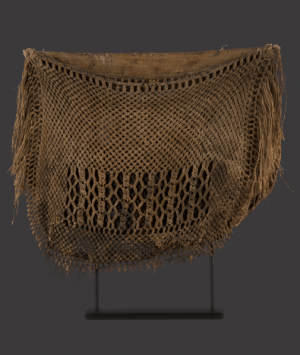 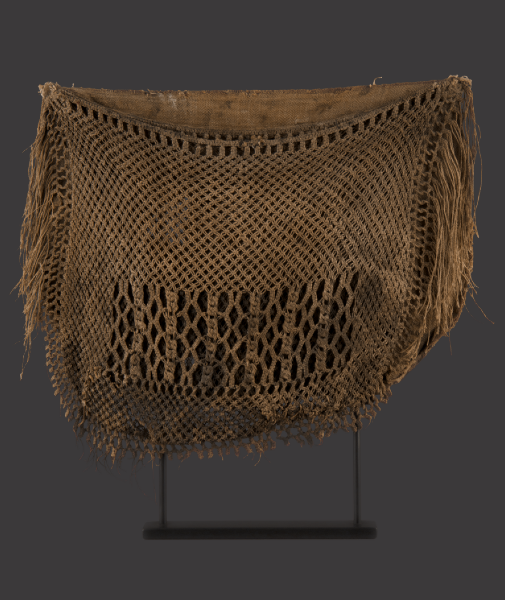 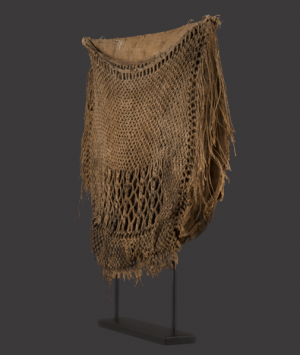 Consisting of two pouches, the decorative net front-piece with typical fringe was probably used for gathering shell fish.